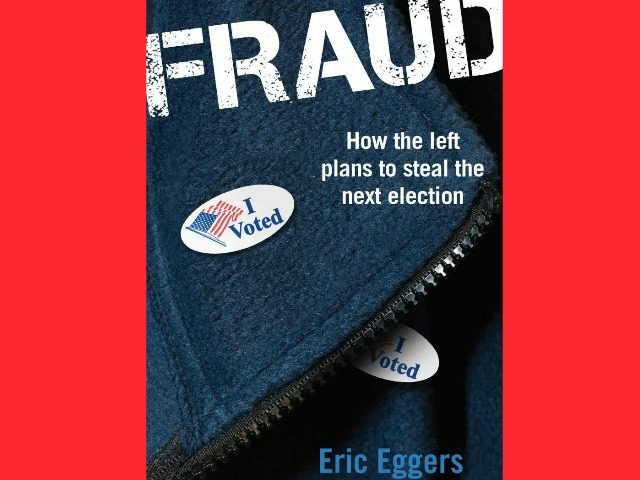 In his new book Fraud: How the Left Plans to Steal the Next Election, Government Accountability Institute (GAI) research director Eric Eggers uncovers the overwhelming basis for the need for voter ID laws in American elections. What’s keeping those voter ID laws from being implemented? Accusations from Democrats and leftist organizations that falsely claim that enacting such laws will suppress minority turnout in elections. What, in your research for this book, shocked you the most? The comical nature of just how easy it is for people to vote illegally. It’s the institutional failure at every level to protect the security of American elections. In New York, they sent undercover agents to try to go and try to vote as either people that were deceased, or that lived out of state, or were felons. People that shouldn’t be voting. They sent these undercover agents to precincts around New York City. And 61 of the 63 times that they tried to cast the ballot, they were successful. This includes a 26-year-old undercover agent voting as somebody who’s actually deceased where there age on the voter roll would have put them in their late 70’s. This includes somebody who admitted to the poll worker that they lived out of state but was actually told and given assistance by the poll worker of how to more successfully vote at a different precinct. My favorite example is the guy who posed as trying to vote as a felon and the only reason they were stopped was because the actual person’s mother was working at the polling place. These ridiculous, comical examples. When people say that voter fraud isn’t a crime, it’s because technically these examples don’t count, according to the left’s definition of voter fraud. So they say voter fraud has to be the intentional effort by noncitizens to impersonate a citizen. I reached out to immigration attorneys, and this is someone who is a Democrat, and she told me how this is a real problem. I was told the story of a high school senior who – her class project was everybody has to register to vote. Well, her problem is that she’s a noncitizen and as a result, she’s facing … she can never become an American citizen and she’s actually facing deportation. Just for registering to vote illegally. That really shocked me. By not taking the issue of election vulnerability seriously, it only imperils the citizenship status of these noncitizen populations that we’re told the left is trying to fight for. You talk about solutions to this problem in the book, can you elaborate on what would be most effective in combating voter and election fraud? To believe that voter fraud is not a problem, you have to believe that the system is secure and that there aren’t motivated outside groups trying to do whatever they can to manipulate elections for desired political outcomes. I think there are a few common sense things requiring an ID. If you want to get on an airplane, if you wanted to go to the Democratic National Convention in 2016, you would have had to show ID. So why shouldn’t you have to show an ID when you go vote? At the federal level, there’s got to be some way of doing federal verification of citizenship when someone registers to vote because that just doesn’t happen right now. 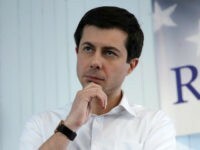 Voter ID laws have been blasted by Democrats as being a coded effort for suppressing minority turnout in elections, despite there being no evidence showing such a claim. You write about in the book the case of Alabama’s election last year where they have voter ID laws and minority turnout actually increased. Tell me about this. And are there other cases like this occurring throughout the country? Absolutely. Georgia, Ohio, and this debunks the soft, lazy assumption that requiring people to use an ID to vote somehow impacts minority turnout. The Washington Post tried to release a study last year and it was quickly debunked by elite academic institutions like Pennsylvania and Yale. There is no evidence to support the idea that voter ID laws negatively impact minority turnout in elections. The day your book was released, the Washington Post and other left-wing outlets like Vox published pieces going after Kansas Secretary of State Kris Kobach for his efforts to fight voter fraud and attacking the Government Accountability Institute (GAI). They claim that massive voter fraud does not exist and that there’s no proof of this. What do you say to the critics of your book? When I told people I was working on a book about voter fraud — my friends are Democrats — they said, ‘Oh, so it’s going to be about the Russians.’ What’s fun about that is that people on the left have no problem believing that Russians hacked our election or worked in conjunction with Donald Trump to steal our election. And people on the right don’t have a problem believing that Democrats are actively organizing to exploit the vulnerabilities of our election system. But, notice both of them would seem to agree that our elections are not secure. I think that’s a key thing. We all agree about that. The evidence is actually there, even people on the left agree that senior citizens’ names on absentee ballots are susceptible to harvesting by these people called “granny farmers.” I would encourage people that are concerned with the plight of immigrants to talk to some immigration attorneys about how easy it is for noncitizens who don’t know the rules and are actively bombarded by these groups that think its okay to sell their vote. Talk to immigration attorneys about the way in which immigrants are actually victimized by the vulnerabilities of our election system. The response to voter fraud by the establishment media and Democrats is always to say that it’s not large enough to make a difference in elections. Your book does a good job of debunking this. Can you explain more about how voter fraud doesn’t have to be on a widescale level to be occurring? You don’t have to have a million illegal immigrants, you don’t have to have three million illegal immigrants independently deciding on their own that they’re going to go vote for a Democrat for voter fraud to be a real problem. That’s partly why I wrote the book. There are academic studies that say there are that many noncitizens that do vote. What we do know and what the Supreme Court has decided is that there are nearly three million people who are registered to vote in more than one state. One in eight voter registrations are wrong. And you’ve got a million illegal immigrants in California with driver’s licenses, you’ve got a number of states that automatically register you to vote when they renew your driver’s license. The threshold to vote is not the same threshold to get your driver’s license. But the driver’s license is the mechanism by which we register people to vote. That fact alone should stop people and have them recognize that there are vulnerabilities here. Then you take a look at organizations that have been busted repeatedly … places like La Raza and ACORN, they have to change their name because of their associations with voter fraud. We know these groups are out there trying to get noncitizens to vote. I talk about the example of a reporter in Las Vegas who spoke to two illegal immigrants who were basically forced to go to the polls by a union with links to Harry Reid’s campaign. The discussion about voter fraud, the left wants to have it in very legal, technical, and underinclusive terms because they want to stick to one, very narrow definition of what voter fraud is. Most Americans would think that anything that cancels out their votes, is voter fraud. Breitbart readers can grab a copy of Eggers’ new book, Fraud: How the Left Plans to Steal the Next Election, on Amazon.